Shadowfax, steed of the king of Rohan, horse of Gandalf the White, Lord of Horses, one of the Mearas. This is not an unimpressive CV. For those of you unfamiliar with the story (or for those of you who have just seen the movies and need a few more things explained that can only be found in the books), I’ll explain the importance and comings about of all of these titles, as well as his impressive lineage. To begin, know that Shadowfax is a beautiful horse, with a coat that is silver-grey in the day that is said to be almost invisible at night. That alone conjures up an image of quite an impressive creature. I, for one, would rather ride Shadowfax than drive a car, as cars are liable to need the services of tow truck Hamilton ON where as Shadowfax is strong and would never fail me in a pinch. 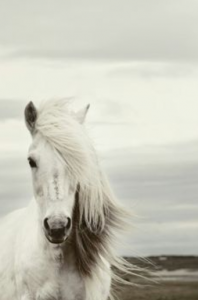 One of the Mearas (as recognised immediately by Legolas when he first sees him), Shadowfax is descended from Felaróf, a magnificent horse who was tamed by Eorl, the first king of Rohan. Save Shadowfax, the descendants Felaróf would only bear kings of Rohan. It is said that the ancestors of the Mearas were brought t Middle Earth out of the West by Oromë, a Vala who was known for his love for the hunt and for Middle Earth. In short, Shadowfax has a rather outstanding pedigree. Shadowfax first comes to be ridden by Gandalf between being imprisoned by Saruman in Orthanc and the Council of Elrond. He had gone to see Théoden, 17th King of Rohan, and Théoden, being suspicious (probably at this point being under the influence of Gríma an Saruman), he tells Gandalf to get on any horse he chooses, and go. Gandalf, who I think does this because he’s just a little bit cheeky, chooses Shadowfax, much to the grumblings of the king. Gandalf tames Shadowfax, and rides him from Rohan to the Shire and then almost to Rivendell, where he releases him, allowing Shadowfax to return to Rohan. Though Théoden permitted Gandalf to borrow Shadowfax so that he would leave the kingdom more quickly, Shadowfax wasn’t actually gifted to Gandalf until after Gandalf released Théoden from the influence of Gríma. In gratitude for his liberation, Théoden told Gandalf that he could choose anything in Rohan as a gift, save Théoden’s own sword. Gandalf chooses Shadoxfax, and Shadowfax, Lord of Horses, becomes the horse of Gandalf the White. Shadowfax then went on to bear Gandalf to and from many places, and rode him into many battles. Shadowfax was with Gandalf at Helm’s Deep, and also took Gandalf and Pippin to Minas Tirith from Rohan, after Pippin had looked into Saruman’s Palantír. Shadowfax remained an essential ally of Gandalf during the Siege of Gondor, providing medical transport back and forth to Minas Tirith, among other things. Furthermore, it was thanks largely to Shadowfax’s speed that Gandalf was able to save Faramir twice, once from the Nazgûl, and again from being burned due to his father Denethor’s madness. Near to the end of the Siege of Gondor, Shadowfax is the only horse in Middle Earth to stand unmoving when confronted by the Lord of the Nazgûl. Due to their lasting friendship, it’s generally thought that Shadowfax joins Gandalf on his journey to Valinor.